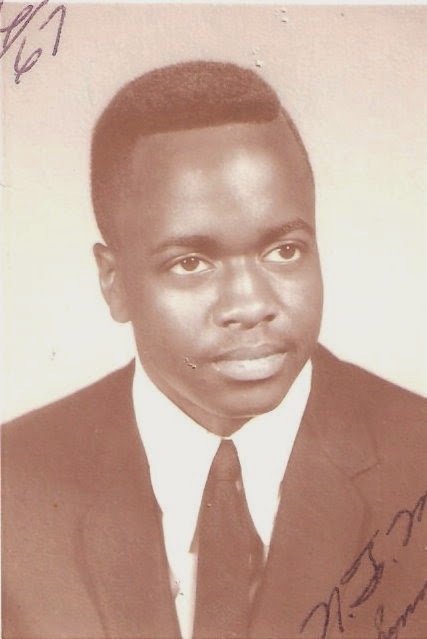 Mississippi Rooted: Remembering Sammie L. Watson, Jr.
Remembering Sammie L. Watson, Jr. In May 2014, I wrote a memorial honoring my cousin Sammie Lee Watson, Jr. (aka-Sonny) – “In Honor of Our Vietnam War Hero”. Since writing the memorial and sharing it with the rest of the family that include Sonny’s siblings, nieces, nephews and cousins, I wanted to share more about who he was as a person. In keeping Sonny’s memory alive, I reached out to his remaining siblings and one of his friends to share stories and memories about him. Sister Vivian remembers – “Growing up, Sonny was a good brother, he was the oldest, and always cared about his siblings. As children, we lived near “Sportsman Park” (the original Busch Stadium) located on Grand and Hebert. The location is currently the Herbert Hoover Boys Club. My brothers and me would block the space in front of our house and charge people for parking. Sonny would collect the money and instruct us on what to do when charging a fee for parking”. Vivian remembers in grade school wanting to tag along with her big brother. He would always make her go home. In high school, Sonny played football and ran track. They wrote letters to Sonny and he in turn wrote home. On his brother Horace, “Butch” birthday, he sent him a birthday card. “Sonny came home for two weeks before being deployed. During that short stay, he painted our house. We recorded a family movie during his time home. He also wanted to be baptized by our pastor, Elder Robert Sanders at Bostick Temple Church of God in Christ”. “At my place of employment, fallen war veterans memorial is in a glass case. I was pleasantly surprised to see my brother’s picture and the newspaper article “A War Hero” on display. Brother Terry – “Sonny being my oldest brother, I looked up to him. I remember being a freshman in high school when he was a senior. People knew me because of my brothers. Sonny was playful but would get serious. He was a role model for me. He use to pay us for doing his chores”. Brother Horace – “I remember my brother being protective of us. He was playful and fun”. Sister Jean "Mickey" - "The brother I only heard about because I was too young to remember you. 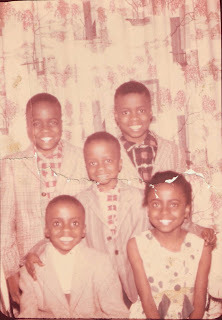 Our parents & siblings shared with me you are the reason I have the nickname "Mickey". It came about when you went to Disney Land while stationed in California for basic training. It was shared that when you came home you brought me Mickey Mouse ears and it started from there. Although I do not have the childhood memories, I feel I know you from the stories shared with me". Friend Vincent – “I was a friend of the family dating back to when we all lived in Carr Square Village. I remember playing with Sonny and riding bikes together. He was genuinely a nice guy and gentlemen. I remember Sonny getting a job and next thing I knew, he enlisted in the military. When Sonny came home from basic training, he shared he had given his life to Christ”. "27 Nov 68: A3-3 received 6 rounds of 60mm incoming [mortar fire]. A reaction force was sent out and ran into an enemy automatic weapons position. One Marine was KIA in the initial contact. Another force was sent to assist and another Marine was KIA. Reaction force could not get in position to assault [without sustaining additional casualties] and were pulled back because of darkness and terrain. Position attacked in the morning with NGF [Naval gun fire], Arty, Air, and overrun. Results: 3 USMC KIA, miscellaneous gear and demolitions captured." 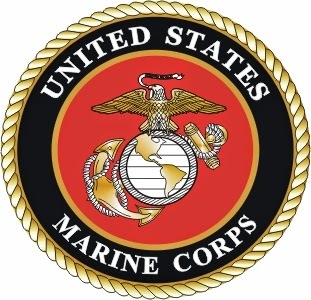 The three Marines killed in the action were Cpl Jackie M. Medlin, Sanford, FL, Alpha 1/26 Cpl Daniel C. Tedrow, Mullan, ID, Alpha 1/26 Pfc Sammie L. Watson, St Louis, MO, Charlie 1/26. “Marine, I never knew you. You died on the same day and place that my brother did. You were there, fighting for your country and the American way of life. I mourn your passing. You were gone in a flash, in the prime of your youth, never to return to St. Louis, Missouri. You never got a chance to lead a productive life, marry, raise a family, or be there for your aging parents. You are our hero. 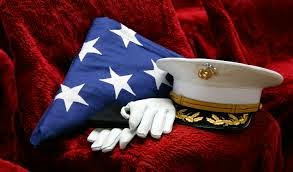 You have served our nation well and we thank you for your honor and sacrifice! Rest in peace, Marine. You're not forgotten! From the sister of a fellow fallen Marine, Judy Tedrow Metzker”. “You served in Vietnam with my husband and you were also in Bootcamp with him. Bless you brave Marine, you did not die alone. Mrs. Bobby Harris”. On this Memorial Day, we honor the life and legacy of Sammie Lee Watson, Jr. – Gone but not forgotten.